Vouchers don’t have to be printed on paper anymore. Instead, marketers can share discounts directly with consumers via electronic devices. According to Wikigains, an established UK coupon publisher, mobile phones are an excellent target for coupon campaigns as they are easy to carry into a store and nearly ubiquitous in our daily lives. Vouchers can take the form of a barcode the cashier scans, a secret code that’s entered into a register, or other imaginative forms that are even easier for customers to take advantage of. 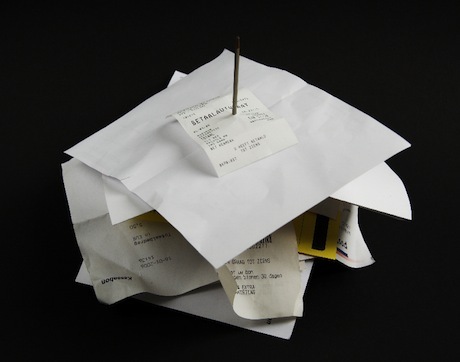 Vouchers entice customers to make a purchase by offering a type of discount. This discount can take many forms: it might give customers flat savings on a purchase ($20 off), a percent reduction on a purchase (20% off), or even give customers the chance to snag an item entirely for free. They often come with caveats: customers might not be entitled to your free item unless you purchase something else, or they might not be eligible for their savings until they spend a certain amount of money. According to Wikigains.com, these techniques can help encourage customers to visit a retailer and spend money. In addition to getting discounts behind purchasing certain amounts of certain items, other couponing techniques include staggering expiration dates within a pack of vouchers to encourage repeat business, distributing coupons for related products when customers buy a complementary good, or forcing consumers to choose between two or more excellent deals. Smart coupon marketing campaigns take advantage of some or all of these techniques to maximize the effectiveness of their deals. Just because you can send something to a customer’s phone doesn’t mean that it’s easy for the customer to actually use that coupon. Here Wikigains shared two tricks to make sure that your discounts are easy for everyone involved. If your coupon is supposed to be shown to the cashier during checkout, make sure it says that somewhere so the customer knows what to do! Make sure that everything actually works the way you think it should. This includes testing a cashier or two and ensuring that the point of sale system handles the coupon properly. Not only will people click on the link to redeem their coupon on your online store, they’ll also tap phone numbers within your coupon to call your business. Be sure that any and all outgoing links work properly and have the outcome you want. If you’re sending out mobile offers, it’s especially important that your web store loads on mobile. If you’ve got a phone number anywhere, ask that customers mention the coupon while they call. How To Deliver Mobile Vouchers? You can also take advantage of MMS text messages, top websites, and social media hubs. In other words, don’t try to do it alone! Instead, take advantage of existing services and frameworks to do the brunt of the work for you. Coupon experts form Wikigains say that once you have got your coupon all tested and ready to go, sending it to your customers is the easiest part. There are lots of messaging service providers and email marketing firms that will work with you to send out your vouchers to your eager customers. Next post: Android vs iOS: What Are the Main Differences Between These Two Popular Operating Systems for Tablets?